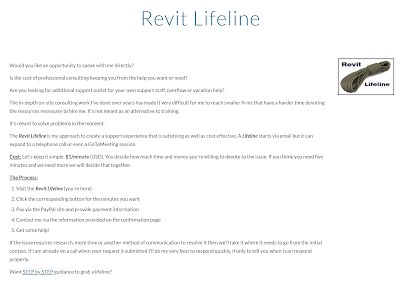 If you ever want a second opinion on the workflow for a large project or need help on a tricky Revit issue and don't have time to wait for Revit support, consider using Steve Stafford's Lifeline. I did just last week when dealing with a tricky Shared Coordinates issue... he helped me for nearly two hours! And at a $1/minute it was well worth it. 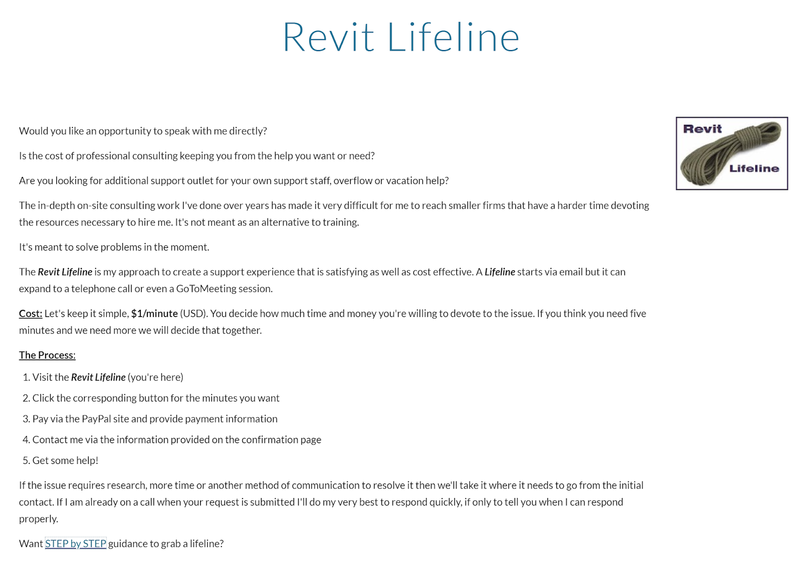 Click the links below to learn more! Thanks for the help, Steve! Checks in the mail... jk, I paid with a credit card via PayPal.